Get from Taoyuan to Kaohsiung in only 95 minutes! It was super easy to redeem the voucher for the ticket at the THSR ticket counter, and you can pick the travel time. The THSR ticket also allowed me to ride the shuttle bus from the THSR Chiayi Station to the TRA (MRT) Chiayi Station for free. 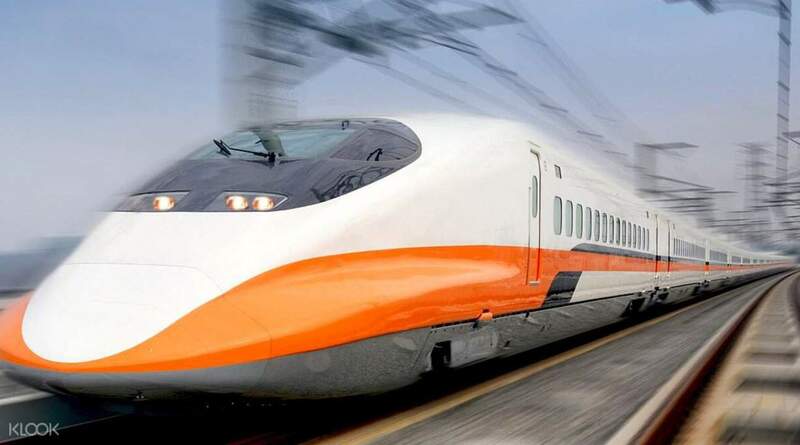 Get 20% off the original price when you purchase Taiwan High Speed Rail tickets and get to travel around Taiwan in the easiest and fastest way possible! Whether you want to see the National Palace Museum in Taipei, or the Longshan Temple near Taoyuan, you can do so in a flash with this one way travel ticket. The Taiwan High Speed Rail (THSR) connects major cities in the North and South of Taiwan, meaning you can visit any destination in Taiwan even if it's on opposite ends. You can even get from Taoyuan to Kaohsiung in only 95 minutes - (and travel back that same day! ), so it really is the fastest and most convenient form of transport around the country. The High Speed Rail has a 99% efficiency rate, so you know you won't be wasting your day waiting around for unpredictable public transport. There really is no easier or better way to get around Taiwan, so cut the stress and buy your travel ticket now! Travel from Taoyuan around Taiwan by High Speed Rail with 20% off! Convenient and saves up time. It is more expensive than the regular train but if you compare the travel time, it is worth it. From 4 hrs down to 1 and a half. The seats are also comfortable and there's ample leg space. It is also easy to use, just show the code and your passport and you'll have a physical tocket in no time. Convenient and saves up time. It is more expensive than the regular train but if you compare the travel time, it is worth it. From 4 hrs down to 1 and a half. The seats are also comfortable and there's ample leg space. It is also easy to use, just show the code and your passport and you'll have a physical tocket in no time. Speed reaching up to 230 km per hour. So fast that I was not able to take a nap before reaching our destination. Premium outlets are also just across Taoyuan station. Speed reaching up to 230 km per hour. So fast that I was not able to take a nap before reaching our destination. Premium outlets are also just across Taoyuan station. Easy to redeem. Seats, comfort rooms, luggage area, tables, attendants, breasfeeding room feels like we are in a plane. Easy to redeem. Seats, comfort rooms, luggage area, tables, attendants, breasfeeding room feels like we are in a plane. thks to Klook that we can get a promotional price n very easy to buy. no need to go to the station . thks to Klook that we can get a promotional price n very easy to buy. no need to go to the station . Recommended to those who want to travel beyond the city. Approx 10-15 mins to taipei! Thanks Klook! Recommended to those who want to travel beyond the city. Approx 10-15 mins to taipei! Thanks Klook! Very convenient to change the ticket at Taipei Airport. Very convenient to change the ticket at Taipei Airport.